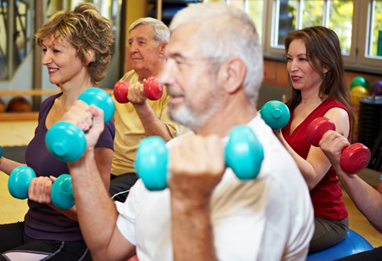 Senior Wellness Centers vs. Adult Daycare: What’s the Difference? You’re getting ready for work and just like every morning you make sure the kids are dressed, lunched and off to school; the pets are fed; briefcase in hand, car keys in pocket and you’re ready for a day of meetings at the office. Suddenly, you remember a pivotal family member – Mom. You’ll be gone all day, you won’t be able to call or check in on her. Friends and other family members are working so you can’t ask anyone else to come by. What now! Perhaps it’s time for a caretaker? But is she ready for that? Are you ready for that? “Don’t worry about me, dear.” She says sweetly meandering to the front door like she does every morning to kiss you goodbye. Senior Wellness Center’s are popping up all over the place giving seniors excuses to leave the home, go out and have fun; and perhaps learn something in the process. These centers focus on preventive maintenance and enhancement of the mind, body, and spirit through vigorous actives, continuing education, and lifestyle enhancements for healthy, independent living. They generally have a computer lab for older adults to learn how to work the latest technologies, a gym with a schedule of classes for better health, and a menu of planned outings where people of the same ages and interests can meet and enjoy social activities. Structured differently from Senior Wellness Centers, Adult Daycare operates on a reactionary basis. Daycare is for seniors who require the constant supervision of a caretaker due to failing health or advanced medical problems. They are designed to help the elderly with medications, assist with mild exercises, and provide meals and periodic outings, as well as companionship so that working family members don’t have to leave their aging loved one at home alone and in potential danger. Both centers vary with programs based on the needs of the senior. So if you are looking for a place where you or your elderly loved one can take some computer or Tai Chi classes, meet friends and have a social, active lifestyle, a Senior Wellness Center is the place to be. But if you’re questioning the judgment and safety of an elder with failing facilities perhaps an Adult Daycare Center will be best for their needs. Life Alert Encino supports senior wellness in all areas of life. With one push of a button we can get emergency help to your elderly loved one fast, even if they can’t reach the phone. Our focus is to provide services and information so that you and your family can remain safe, healthy and independent. The article on this Life Alert website is covered by a Creative Commons License. You are free to copy, distribute, display, and perform the work; to make derivative works; to make commercial use of the work --under the following conditions: Attribution --You must attribute the work in the manner specified by the author or licensor. For any reuse or distribution, you must make clear to others the license terms of this work. Please go to the Creative Commons License site for more information on the CC license that applies to this work.